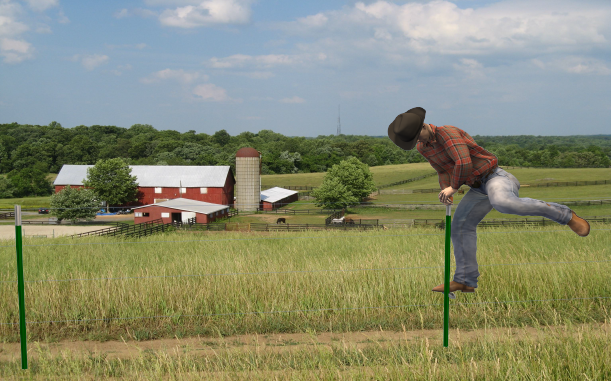 The SAFE-T-STEPPER and SAFE-T-CAP create a unique product that allows you to easily climb fences built with T-Posts. It's like carrying around a portable gate on your hip! A high-quality aluminum alloy step and a protective cap fit into a sturdy case that straps to your belt. Together they allow you to 'step over' the fence with ease. The dove falls on the other side of a barbed wire fence. You find yourself crawling under and through fences when headed to that perfect spot. And don't you hate the feeling when you break that little clip that holds the wire in place? Strap a Safe-T-Stepper to your hunting vest to solve these problems. Gates are great. But let's face it, a half-a-mile detour isn't going to happen. Strap a Safe-T-Stepper to your pack and you've got a portable gate that won't slow you down. 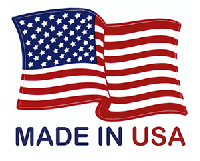 And tell your employer that preventing just one fence break or injury pays for the Safe-T-Stepper many times over! It's frustrating and irratating when someone else breaks a section of fence, but even more so when you do it. Keep a Safe-T-Stepper in the glove box and recommend (or require) that surveyors and hunters use one when on your land. Our friends at Gill's Custom Leather put together this video product review. Be sure to check out their other videos and reviews on Facebook and YouTube.